This was my husband and I’s first stay as DVC (Disney Vacation Club) owners. Our last stay at a Disney World Resort Hotel was at Pop Century in September. You can check out my review of Pop Century. All DVC resorts are considered Deluxe resorts, so going from a Value level to a Deluxe level was a huge jump for us! 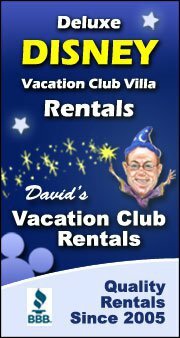 First things first, here’s some information on Boardwalk Inn and Villas. It is a Disney hotel and in the Epcot area. It is also considered a Deluxe hotel. The Inn is the hotel side for regular paying guests and the Villas side is a DVC resort. The hotel side is just hotel rooms while the DVC side has deluxe studios (with kitchenettes) and one, two and three bedroom villas (with extra bathrooms and full kitchens). It’s on a literal boardwalk with restaurants and shops. With that out of the way, here are the top 8 reasons why we loved the Boardwalk Inn and Villas (BWV). This could also be just Disney across the board, but we felt pampered and high class at this resort. There was so much attention to detail and the staff were amazing. I never had to wait long for assistance. One example is that we brought our own coffee from home for the coffee maker. But, the coffee maker in the room had these large pods instead of coffee filters. They only gave you a couple and we hadn’t brought our own filters (mental note for future DVC visits, bring you own coffee filters). We went to the General Store (yes, there is a general store) to buy some and they were all out. We weren’t the only ones looking for some. So, we went to the front desk. They made a call and before we knew it housekeeping was bringing us coffee filters. #7 The Pool and Slide! From what I’ve heard, the majority of the pools at any Disney resort are nice, but we did love the pool at Boardwalk. It was big and there was plenty of room to have a quiet spot to lay out. The nice thing about the Deluxe level over a Value level resort is that they have towels poolside and drop off for the dirty ones, that way you don’t have to deal with carrying down you own bath towels or bringing your own beach towels from home and messing with the dirty wet towels laying around and/or hanging up to dry somewhere. We also loved the slide. I may not be a huge fan of clowns, as the mouth of the slide is a clown’s face, but the slide was awesome. I don’t know why, but we were the only adults sliding on it and I’m 35! Come on people, when your at Disney, be a kid! We rode it like 5 times in a row the first day we were able to swim and twice the second day. One of the things I hated at Pop Century was the crowds. You felt like you were drowning. It never felt this way at Boardwalk. It was so relaxed and quiet for the most part. We were overlooking the quiet pool and hot tub. We’d look out to see when it was free and run down and have the hot tub all to ourselves! Some people may complain about this, but our room was at the far end and on the 4th floor, next to the last room actually, #4132. We were over looking the quiet pool, not the main pool and we loved being separate from the hustle and bustle of the main part of the hotel. Everything was just so nice. The bed was super comfortable, the bathroom was beautiful and the design was pretty. It felt clean and lush. It was hotel style, not motel style. We had the deluxe studio with a kitchenette. This saved us so much money. We bought groceries and have at least two meals a day in the room. We had a balcony and all the added fixtures were practical and pretty. The resort amenities were wonderful too. There is a nice gym, arcade, laundry facilities and the pools of course. The hotel itself was so beautiful and there were daily activities, like gingerbread cookie decorating! The boardwalk was beautiful and fun! There were surrey bikes for rent. There was a beautiful Christmas tree in the courtyard with carolers in the evening. The restaurants were nice and also had boardwalk fare like corn dogs, funnel cake, cotton candy and a pizza window where you could get pizza by the slice. There was a bakery, sports bar and piano bar. They have a community hall with events and dancing. There were often entertainers like magicians and jugglers. It was pure Disney magic! I know this one doesn’t sound amazing, but it was. In comparison to the insanity at the bus area at Pop Century or Art of Animation where you were herded like cattle waiting on a bus, this was a breath of fresh air! The buses only run to Magic Kingdom, Animal Kingdom, Disney Springs and the Water Parks from Boardwalk. Instead of separate loading areas, there is just one pavilion with benches where you all wait together. The bus was never over crowded coming or going and we always had a seat, which was the complete opposite at a Value resort. There was even a bus attendant who walked around talking to everyone. She’d ask where you were headed and give you an estimate of where the bus was and how long it would take. She’d also just talk to everyone and kind of keep you distracted till your bus arrived, which never took more than 10 minutes. The Disney transportation map I prefer can’t be found on the Disney website. Check out this one on WDW Focus and either print it out or save it to your phone or Ipad like I did. As I mentioned above, the BWV is considered an Epcot area resort. You can actually see the Epcot Ball (Spaceship Earth) from the Boardwalk. If you had a Boardwalk facing room, this would be your view. I had read on previous posts that the walk to Epcot takes 10 to 15 minutes. We tested this out and did so at a leisurely stroll. My husband even stopped to take a few pictures the first time. On average the walk only takes about 7 1/2 minutes tops. If you were walking briskly, it would be closer to 5 minutes! This was timed from the edge of the boardwalk to the entrance gate. The walk way takes you to the back gate of Epcot which is right between France and England. It was nice to be able to walk to the Boulangerie Patisserie in France in the evening. Our room was on the opposite end of the resort, so counting getting to the room, it took no more than 15 minutes total. The other plus is that although BWV is considered an Epcot area resort, it is also very close to Hollywood Studios (HS, although we still like to call it MGM). Since our room was on the HS side of the resort, the walk to HS only took us about 12 minutes. Depending on where your room was situated you could see the HS fireworks in the evenings. Once we were able to watch them from the hot tub. If the short walk is too much for you, they also have boats that take you to both Epcot and Hollywood Studios. So, those are our top reasons why we loved Boardwalk Inn and Villas! Our next stay will be at Saratoga Springs Resort and Spa in May and I’ll share my review of that resort when we return. Have you stayed at BWV? What did you think? What is your favorite Disney resort? Share in the comments section below! This entry was posted in Disney World and tagged Boardwalk Inn and Villas, Deluxe Resorts, Disney, Disney Resorts, Disney World.